CEDAR RAPIDS, Iowa (June 21, 2016)-Former Kirkwood Eagles men’s basketball star Devan Douglas was selected as part of the 2016 Harlem Globetrotters draft class. The honor follows him wining the 2016 State Farm College Slam Dunk Contest in late March. Douglas was one of five players chosen which included sports stars and celebrities. Joining him in the class are Olympic swimmer Missy Franklin, comedian and actor Kevin Hart, professional Brazilian soccer player Neymar da Silva Santos Jr, professional golfer Jordan Spieth, and veteran NBA broadcaster Craig Sager. 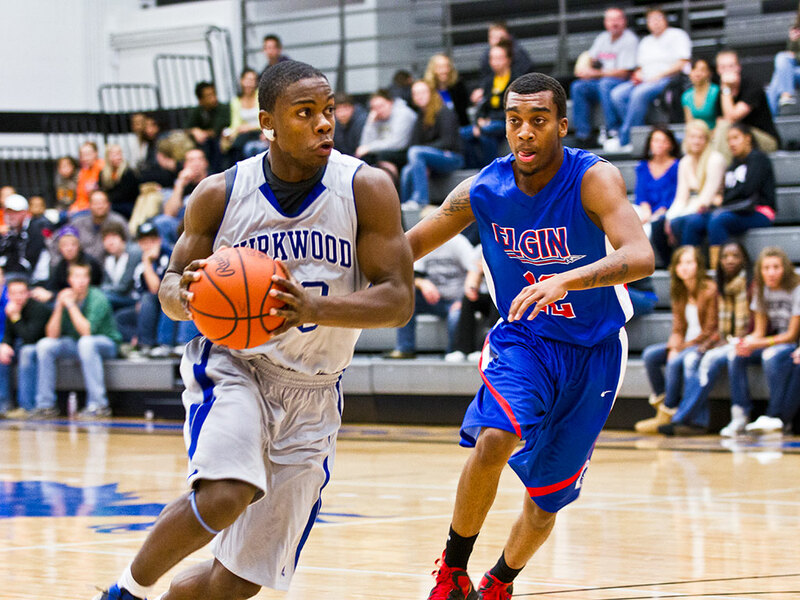 Douglas, who transferred to the University of Mary after Kirkwood, also made his mark as an Eagle. Originally recruited by former Kirkwood Head Coach Doug Wagemester, his career at Kirkwood spanned from 2011 to 2013. Over his two years, he helped the team to a 46-15 record. In his second season, Douglas was named an honorable mention All-Region selection. For more coverage of Kirkwood athletics, go to www.kirkwoodeagles.com.